Born not far from Melrose in about 635AD, Cuthbert’s early years were filled with events pointing to his future as the greatest of the Anglo-Saxon saints. After seeing a vision of the soul of Saint Aidan being escorted to heaven by angels, Cuthbert decided to become a monk and entered Melrose Abbey. Sometime later, he went to Ripon and became guest-master there, with the special duty of welcoming and tending to strangers and other visitors. When Saint Wilfrid was made abbot of Ripon, Cuthbert returned to Melrose and, surviving an outbreak of plague, became Prior. 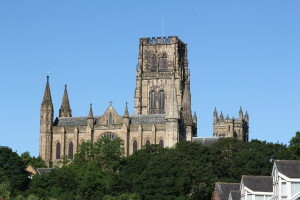 After several years, Cuthbert was appointed as Prior of Lindisfarne (pictured above), a much larger community. 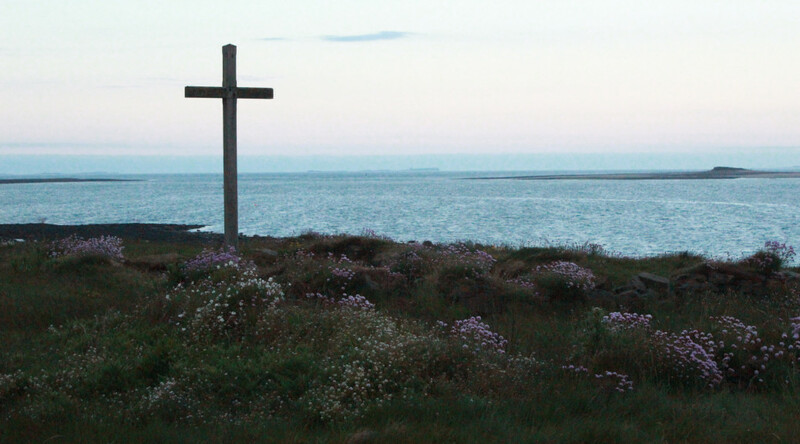 As Prior, Cuthbert governed gently and faithfully but yearned to be alone with God and so was given permission to go to the Inner Farne, a few miles off-shore from Lindisfarne, to devote himself to prayer and contemplation. However, his holiness continued to be spoken of throughout the country and, following a meeting of bishops, King Ecgfrith persuaded a reluctant Cuthbert to leave his island retreat and to become Bishop of Lindisfarne. He fulfilled his ministry with great tenderness and energy, but the Farnes called to him again. After two years as Bishop, Cuthbert resigned and retired into solitude, devoting himself to prayer and preparing himself for his own death. When death came, on 20th March 687AD, he was buried in the monastery at Lindisfarne, where he remained for nearly 200 years before the monks fled from the invading Vikings, taking Cuthbert’s body with them on their journey. After spending over 100 years at Chester-le-Street, the monks eventually brought the body of Cuthbert to Durham, where it remains to this day in the Cathedral built as his shrine. Speaking to his companions just before his death: Live in mutual harmony with all other servants of Christ. Do not despise those faithful who come to you seeking hospitality. Receive them, put them up, and set them on their way with kindness, treating them as one of yourselves. Do not ever think yourselves better than your companions who share the same faith and follow the monastic life.